The Missionaries banned shamanism and imposed Christian rituals. "In the past we worshiped Satan - now we pray to God," says the pastor who officiated the marriage of these young natives. 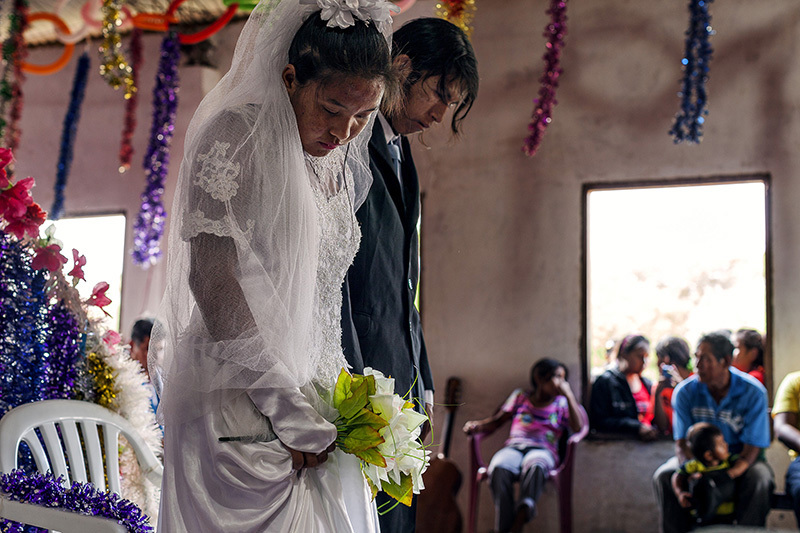 But Rosaldo and Elisa, 22 and 20 years old, appear serious, uncomfortable, and sad throughout their feast, an imposed ceremony that doesn't fit their customs.